THE country's rise in economic competitiveness world ranking can only mean better jobs being offered to Filipino workers. This was the declaration of Labor Secretary Rosalinda Baldoz, saying a competitive economy could mean that better quality jobs can be offered to laborers. "We are optimistic for more high-quality jobs under a regime of sustained economic growth," said Baldoz in a statement. 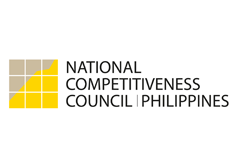 She said this would mean that the country can sustain the positive improvement in the labor sector as shown in the April 2013 Labor Force Survey of the National Statistics Office (NSO). In particular, she noted the considerable improvement in the overall quality of employment in the report, with persons in full-time employment growing by 15.3 percent, or 3.194 million while persons in part-time employment decreased by 18.9 percent, or 3.063 million. "This boosts our optimism for higher quality jobs in an atmosphere where the local economy is growing rapidly despite a weak global economy," said Baldoz. Her statement comes after the Philippines had moved up by six places from 65th to 59th place in the Global Competitiveness Report 2013-2014 of the World Economic Forum (WEF). In turn, she said it is important that the DOLE ensures that there will be a steady supply of qualified workers in the country. "Our challenge is to be able to respond to industry's demand for more skilled workers in the near- and long-term," said Baldoz. To do so, she said they will intensify the implementation of the Training for Work Scholarship Program (TWSP) in the so-called key employment generators (KEGS), namely, tourism; agriculture/fisheries/agri-business; information and communications technology/business process management (ICT-BPM); electronics; automotive; general infrastructure/construction/housing; manufacturing; and logistics. Baldoz said they have already increased the budget for the TWSP to P1.4 billion for 2014 from P563 million in 2013 to be able to upgrade the skills of some 186,667 workers across all these KEGs. Finally, Baldoz said the DOLE's Bureau of Local Employment continues to promote among employers to post their job vacancies to the Phil-JobNet, which is the government’s online job search and job matching facility.